North Ormesby is one of the 150 Big Local Areas, each of which are funded by the Big Lottery and receive £1m over their ten year life span, in order to help address locally identified problems. Following extensive local research carried out by the Big Local Partnership in 2013/14 a Community Land Trust has been established in response to local residents identifying the decline in private rented housing as the biggest issue in North Ormesby. The BL Partnership produced a plan for North Ormesby which identified private rented housing as their top priority. Residents expressed a clear desire that the local community should seek a greater stake in housing and establishment of the CLT was seen as the first step in this process. In order to proceed with the project, it was necessary to work with a locally “accountable body” and North Ormesby Neighbourhood Development Trust (NONDET) was the natural choice. Established in 1999 as a company limited by guarantee and a registered charity, it delivers a range of projects which include: a Playgroup, an Information Centre, a Charity shop, a community broadband service and management of the weekly market. Among the owners of empty property, Accent Housing Association were finding it increasingly difficult to market their properties in North Ormesby and had a high void rate in their stock of around 70 properties. The Big Local Partnership and NONDET saw an opportunity here and started discussions with Accent and other agencies in relation to how they might support the Big Local plan. As well as having issues with high void levels in North Ormesby, Accent also had problems in other parts of the North East, where they were seeking ways to dispose of significant numbers of older terraced housing stock (e.g. in Horden). This had attracted adverse publicity and the regional manager saw an opportunity in North Ormesby to begin to ‘withdraw’ in a more positive way, by supporting the establishment of the CLT with the sale/transfer of some of their empty properties. NONDET were offered the properties at ‘less than market value’ by Accent. They then undertook a feasibility study which looked at the pros and cons of this offer, against the original plan of buying empty houses on the open market. Unsurprisingly this concluded that available resources would go further with the Accent proposal. NONDET made several offers until Accent finally agreed a price of £80,000 for 6 properties (c£13k per unit, which is approximately half their open market value) To fund this, the Big Local Partnership have agreed to provide £150,000 to buy the properties and support the establishment of the CLT from the £1 million in total that has been awarded to North Ormesby for their ten year Big Local Programme. Accent needed HCA agreement approval for the sale of the properties at less than market value and this was secured. The CLT have successfully negotiated a deal with Thirteen HA to lease the 6 properties to them for 5 years, so that they can refurbish them using HCA funding, which can be used for empty property. Thirteen HA will then immediately lease them back to the CLT to rent out. Each property will cost £30k to renovate (£24k from HCA funding and £6k from Big Local funds) and the CLT will be able to retain all the rent. If it’s possible to purchase two other properties within the next few months, then the same arrangements will apply. The tender to refurbish the six properties and an additional four of Thirteen’s properties has been successfully awarded to a collaborative project by Open Doors, Community Campus and East Cleveland Youth Project, thereby keeping the money in the voluntary CLT sector. This will also provide training, work experience and hands-on support to local young people. The CLT have now secured a further £48,000 from Big Local to try and purchase more properties, although prices now appear to be rising artificially due to the local authority also purchasing property in the area. In addition, the CLT currently provides a letting management service for three private landlords in the North Ormesby area and are expecting this to rise to ten in the coming year. 11% fees are charged for this service. 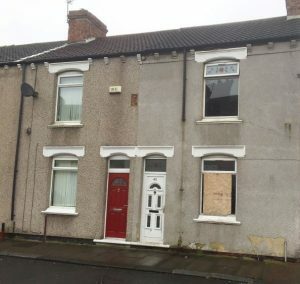 The CLT are tendering for a scheme run by Middlesbrough Council to manage private rented properties for them through their ‘Rent and Refurbishment’ programme. 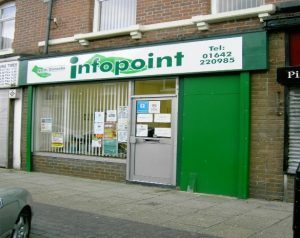 They estimate that there may be up to 30 properties which will qualify for this programme in North Ormesby and beyond. The CLT would manage these properties for 5 years and charge a letting fee of 13% – 14%. The CLT has also had initial discussions with another housing provider New Walk CIC to possibly manage some of their houses they are trying to purchase from Accent, for a similar management fee. In addition the CLT has identified a plot of land which has come onto the market in North Ormesby which has full planning permission for 12 one bed flats. Initial meetings with MBC, HCA and Thirteen to discuss possible options for this site have taken place. The options may or may not include: a Prudential Loan from MBC to purchase site or MBC purchasing site and then offering a 99 year lease to the CLT for the site. Alongside this it’s possible that Coast and Country HA and/ or Thirteen may agree to use HCA grant to refurbish an existing property on the site to create 10 one bed flats. This may also involve, a Community bond or share scheme, grant funding or other form of loans. This is a critical issue for the CLT. Poor management of existing private rented housing in the area is a major concern to residents, with very high levels of ASB associated with some tenancies. Alongside this, there will also be a need to stimulate demand as this is low. The CLT Board have agreed an allocations policy which they hope will address these issues. They have already discussed the role that ‘local connection’ can play in allocations, and have agreed that a higher specification of properties (e.g. in terms of carpets/white goods/decoration and free internet etc) can help stimulate demand. Currently the CLT has a waiting list of around 12 tenants who are interested in renting our six houses. Finally, the CLT has two one day per week secondments from Middlesbrough Borough Council (MBC) Private Rented Sector to support the work its work.